In the Xiaomi Mi A2, sublime software meets strong hardware, without a silly price. Import only for the U.S. There was a time when many would not have paid attention to a phone running Android One. It was reserved for those who wanted to buy their first smartphone, often in places where high-end models cost the equivalent of many months salary. 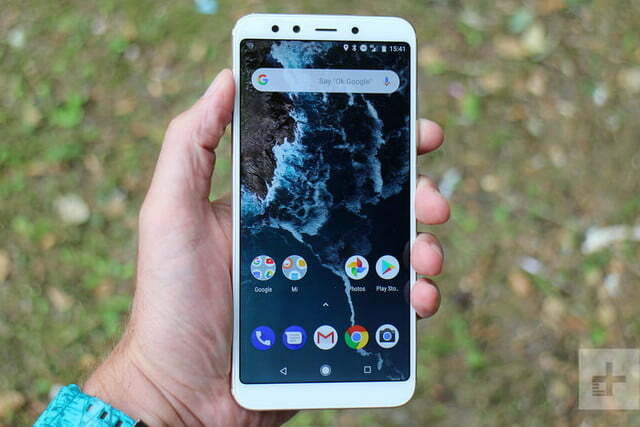 Things changed recently, and Xiaomi’s Mi A1 2017 smartphone helped lead the way for Android One phones to become desirable for those who could still afford to pay more. 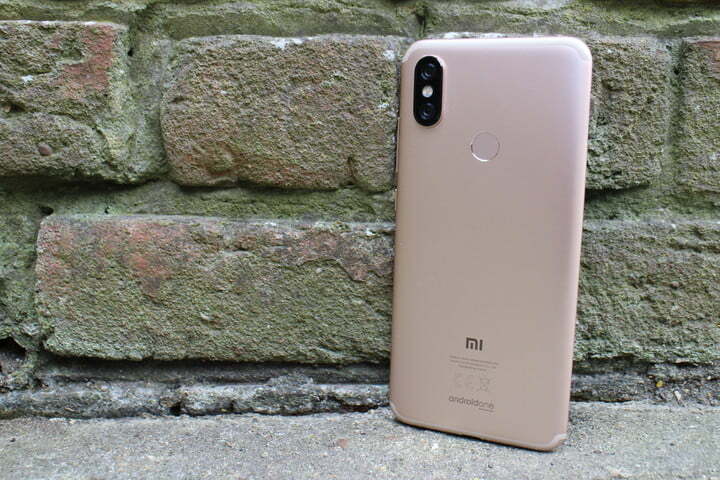 The Mi A2 is Xiaomi’s sequel to the Mi A1, and it does everything better than before, without ramping up the price to exorbitant levels. 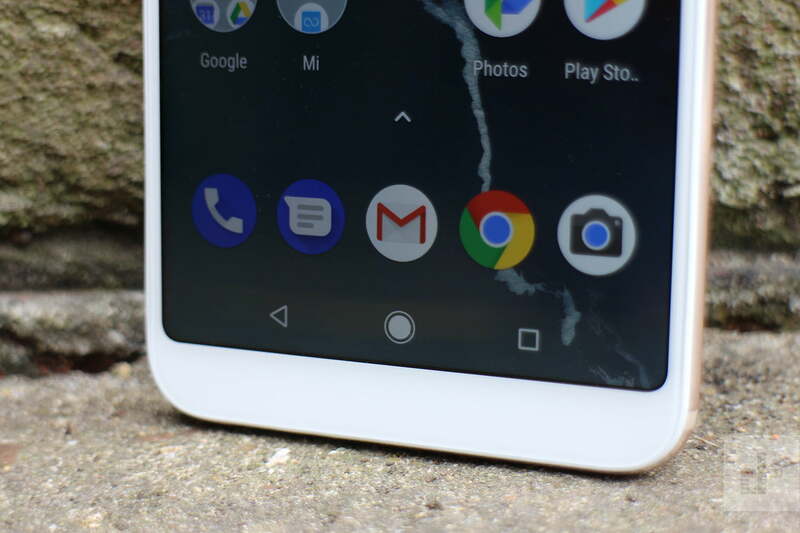 Can the Mi A2 provide a Google Pixel 2-like experience for a third of the price? Let’s take a closer look. The Xiaomi Mi A2 is based on the Xiaomi Mi 6X, and it’s hard to ignore the vertically-stacked camera lenses on the back that make it resemble the iPhone X. 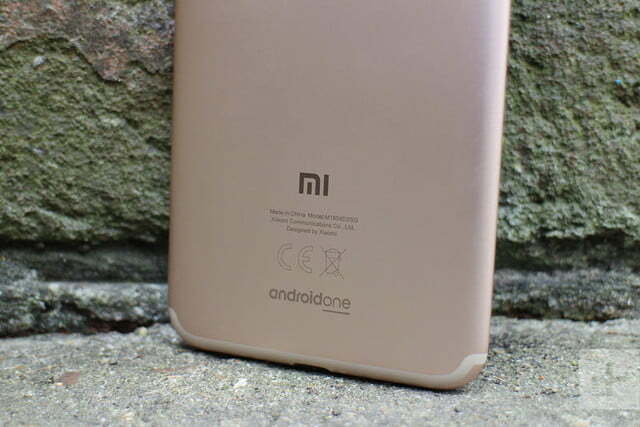 This aside, it’s very similar to the Mi A1, with a fingerprint sensor in the top center and antenna bands wrapped around the top and bottom of the body. Things change around the front, as the Mi A2 has a 5.99-inch, 18:9 aspect ratio screen, with a 2,160 x 1,080 pixel resolution. 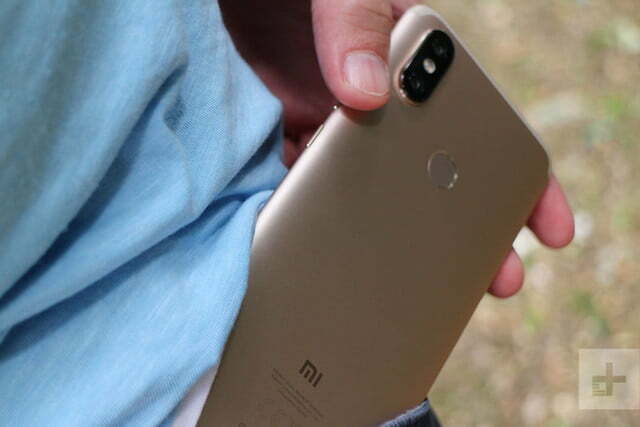 It looks considerably more modern than the Mi A1. 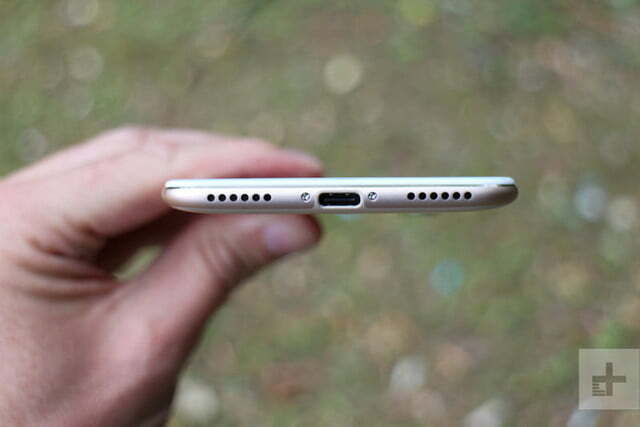 Xiaomi has taken care with the shape of the body. 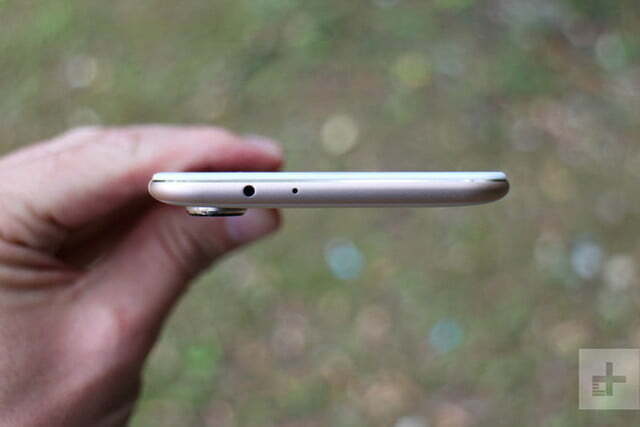 It’s very slim at a little over 7mm, with sleek curves around the edge, making it wonderfully comfortable in the hand. It’s a real pleasure to hold. It feels so good, it makes the ordinary, untextured volume and power buttons feel a little basic and cheap in comparison. The camera lens does extend out of the body quite dramatically, and unless the phone is in a case, it will connect first with whatever it’s rested on, risking scratches. 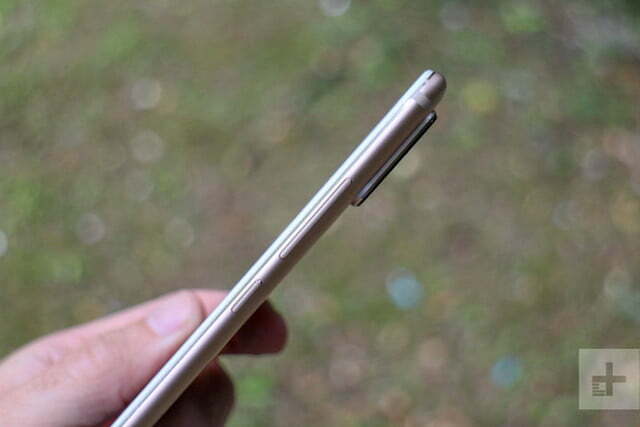 It’s very slim with sleek curves around the edge, making it wonderfully comfortable in the hand. 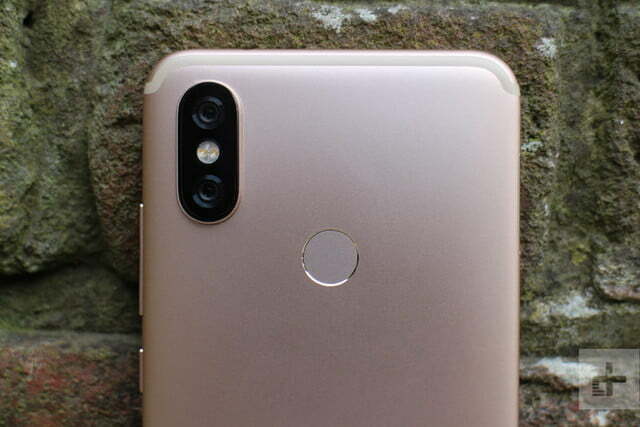 The Mi A2 is available in a pinkish gold color, a blue, as well as a matte black option. The gold catches the eye due to the white bezel around the screen, although we do like the stealth-style look of the black version. We haven’t seen the blue up close, but it may turn out to be our favorite when we do. 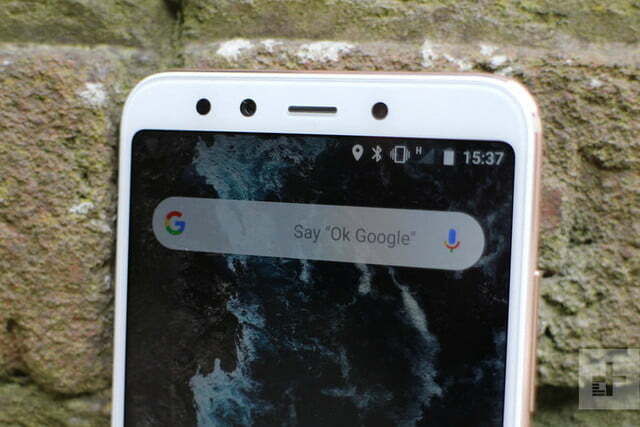 The Mi A2 is a great looking phone. The metal body feels solid and well built; and it’s so pleasant to hold, we didn’t want to put it down. 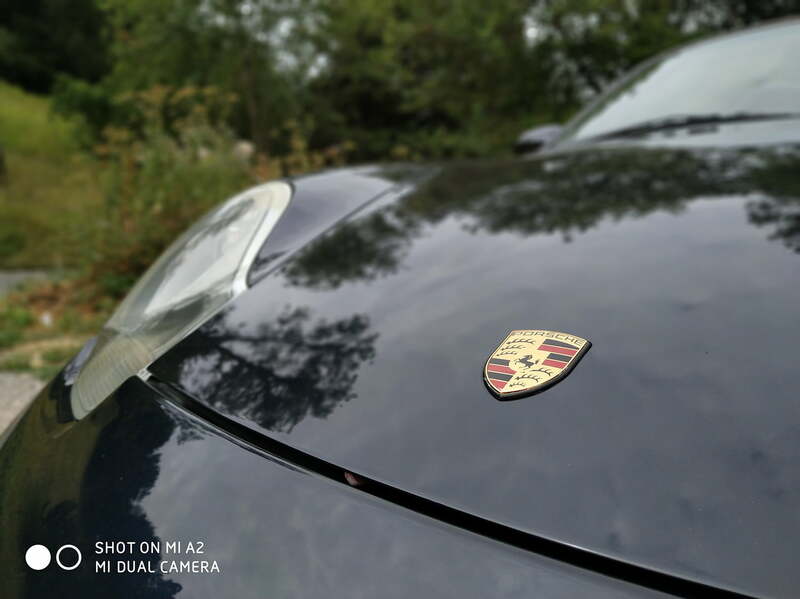 The rear camera has a 12-megapixel main lens and a 20-megapixel secondary lens, which is also used around the front as the selfie cam. Xiaomi said the camera uses “pixel binning” technology for impressive low-light shots. 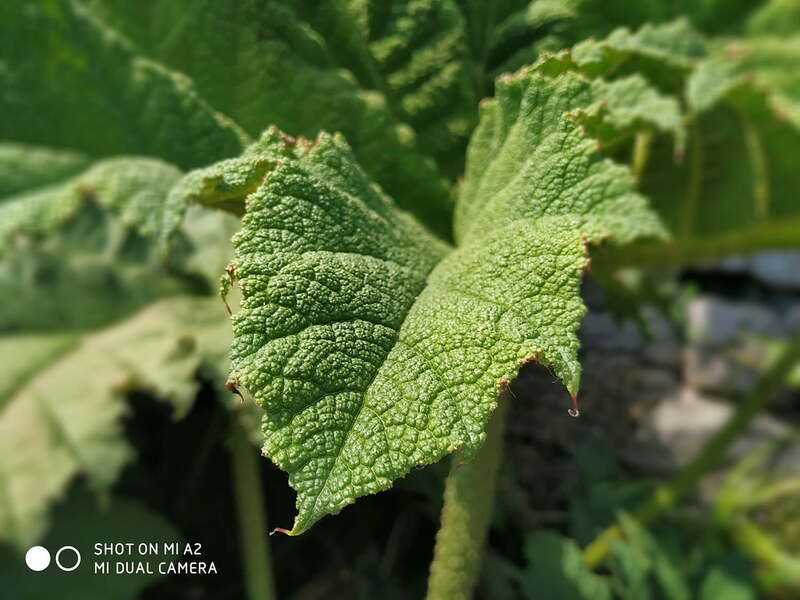 By using the 20-megapixel sensor only in these situations, it turns four pixels into one to increase the amount of usable light. 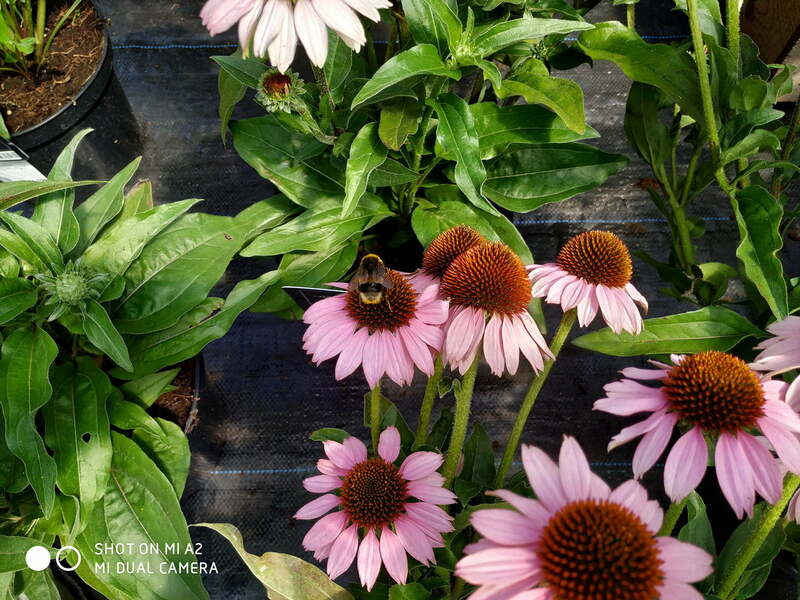 Then with some software magic, it converts the resulting 5-megapixel image into a final photo with 20 megapixels. The same process is repeated on the selfie camera too. 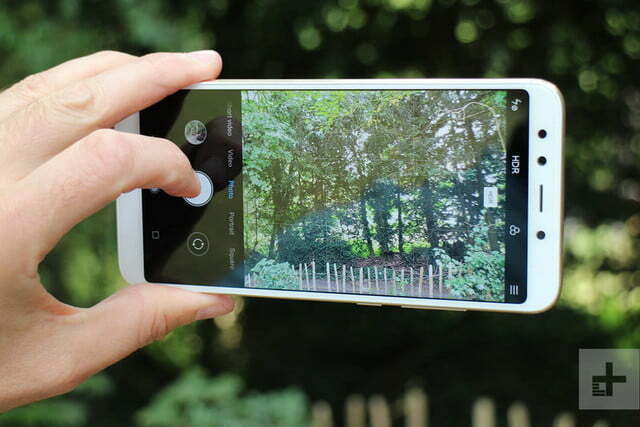 We’ve not had the chance to try this out yet, but it sounds a little like LG’s Bright Mode on the G7 ThinQ. Taking a few early images with the camera in daylight produced some beautiful, colorful, and shareable photos. In bright, slightly overcast conditions, it did struggle to balance the sky and clouds with the rest of the environment, but it’s not terrible. 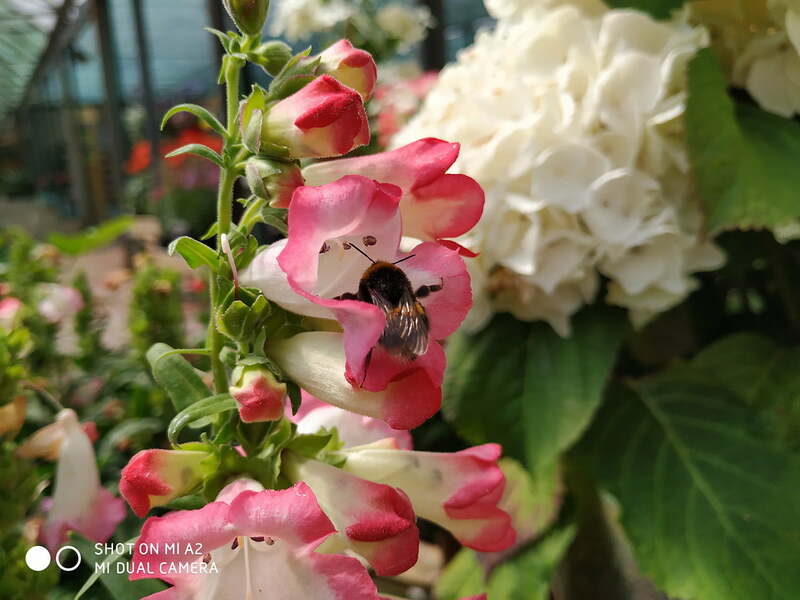 We spent some time taking photos of flowers and bees, with several coming out well indeed, revealing plenty of detail and color. 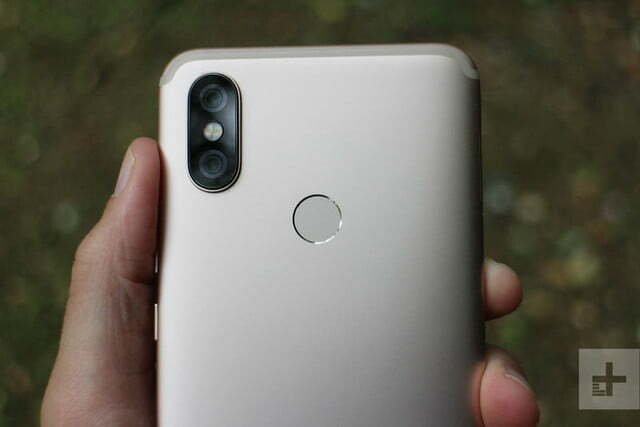 The selfie camera comes with Xiaomi’s updated beauty mode, which has been tuned to recognize and enhance more faces, regardless of complexion and other factors. 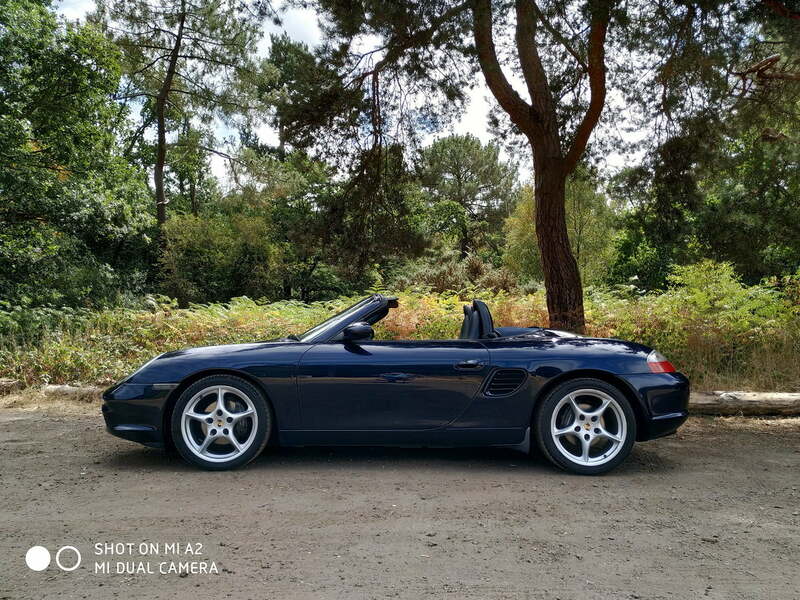 The portrait mode on the front and back cameras works well, and we had fun playing with the built-in live tilt shift mode. 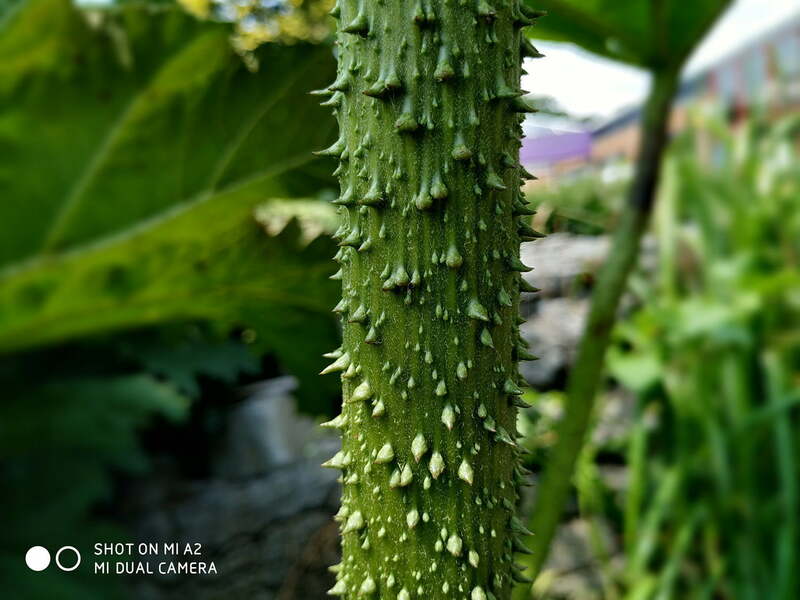 In our early phase of testing, we think the camera on the Mi A2 may be a strong selling point. 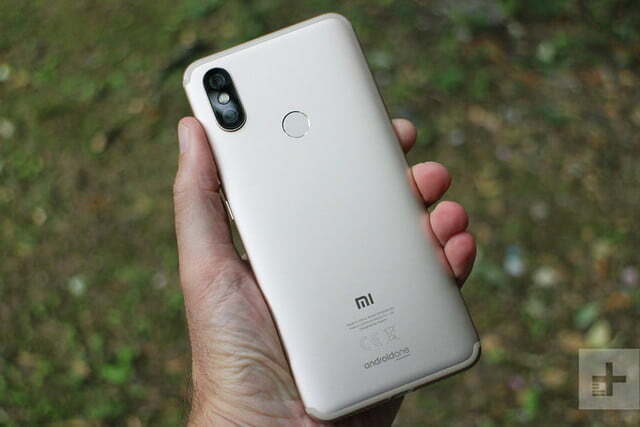 Xiaomi has boosted the processing power over the Mi A1 using the Snapdragon 660 inside the Mi A2 with 4GB of RAM on the 64GB version. A 6GB RAM/128GB model will also be available, but it may not be sold everywhere the standard 4GB/64GB model is released. Because the Mi A2 has Android One installed, it’s fast, smooth, and a joy to navigate. The model we tested has Android 8.1.0 installed, with the June 2018 security patch, and updates will continue to come on a regular, timely basis. Simplicity, elegance, and usability of Android One. 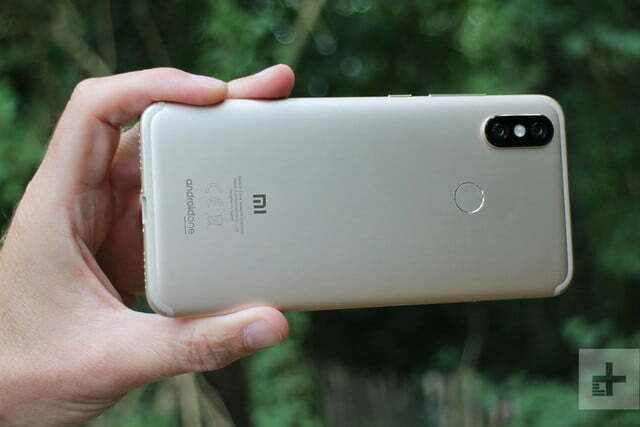 Android One has no downsides, and outside of the camera app, a file manager, and an AirDrop-style sharing app, Xiaomi has left it alone. 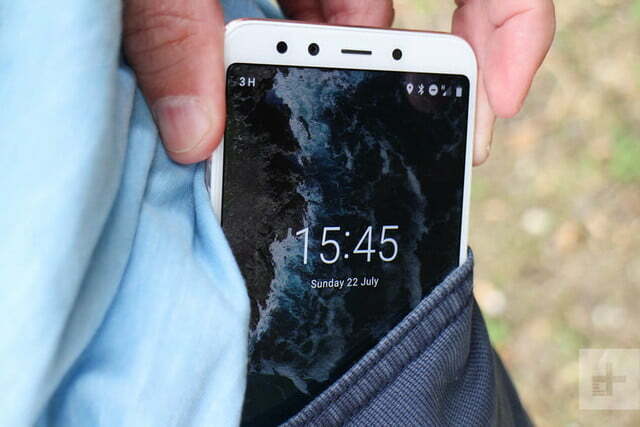 While Xiaomi’s MIUI is one of the best third-party user interfaces out there, it cannot compete with the simplicity, elegance, and usability of Android One. 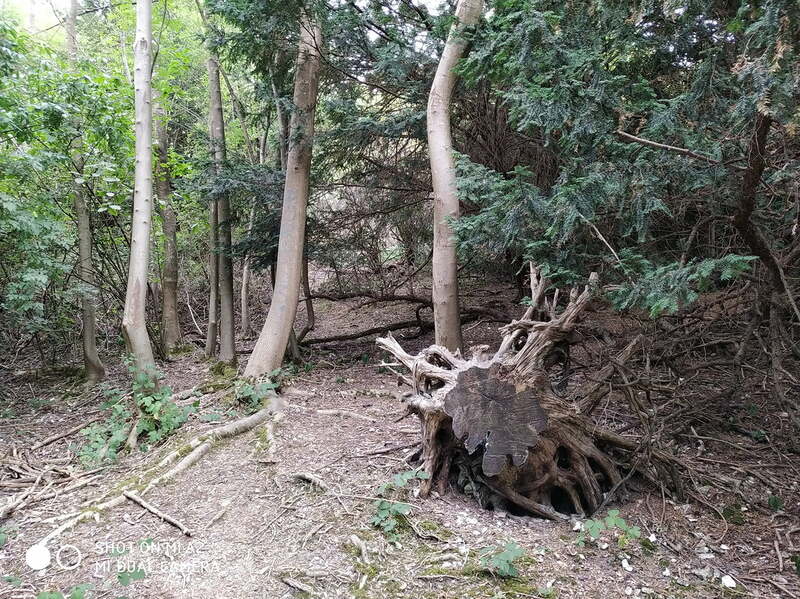 We have not put the phone through any benchmarking tests, or played games yet, but we did notice the body quickly got hot after using the camera for a while. Not to the point where you couldn’t hold it, but definitely so that it could be felt in a pocket. The phone we used is an early release unit, and it may receive software updates to optimize the system. Additionally, while the screen is fine indoors, it does struggle a little in strong sunlight — even with the brightness turned up to maximum. The Xiaomi Mi A2 costs 280 euros, or about $330, a little more than the 250 euro Mi A1. Almost every aspect of the phone has been improved, making the slight cost increase acceptable, especially for a phone of this quality. 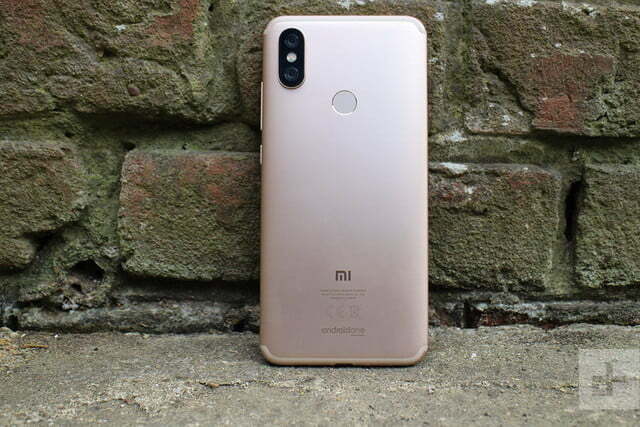 The Xiaomi Mi A2 has been announced for the company’s official European markets — including Spain, Italy, and France — but it will also be available internationally as an import. We have tested the phone in the U.K. where it received a 4G LTE signal without a problem on the Three network. However, this may not be the case in the U.S., and non-compatible bandwidths may stop it operating on 4G LTE through the AT&T or T-Mobile GSM networks. We’ll update when we know more. 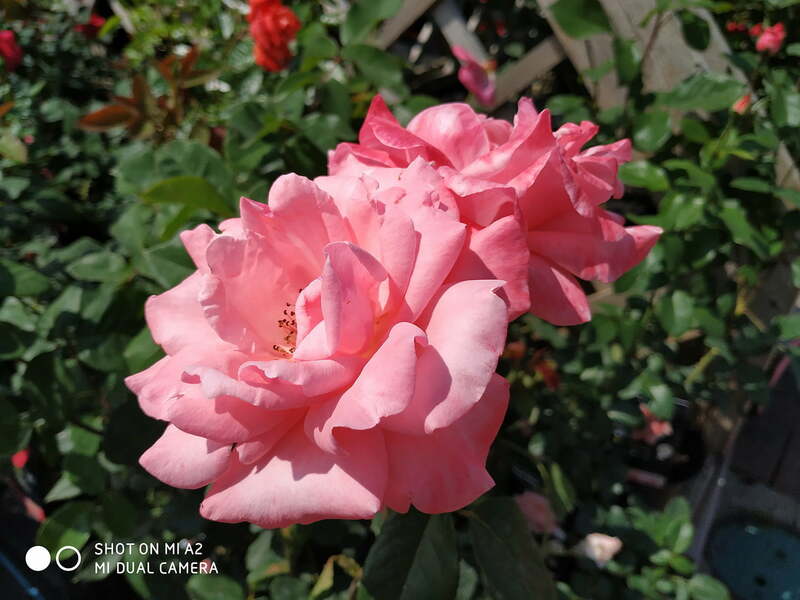 It’s impossible not to hold and use the Xiaomi Mi A2 without thinking, “why doesn’t everyone buy one of these?” The software is just so effortlessly good, the camera takes pictures we like, and the device is attractive and comfortable to use. All for a third of how much many flagships cost. 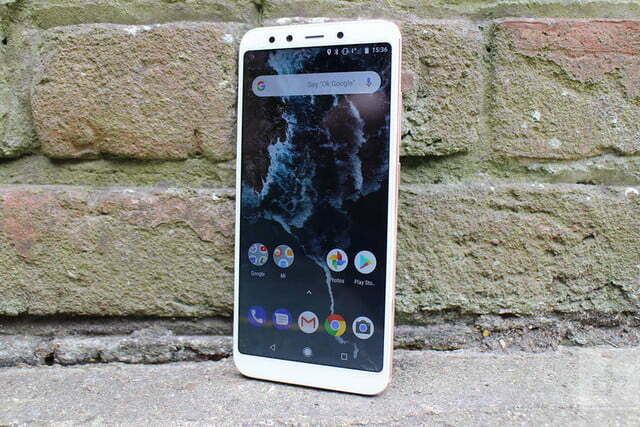 If you don’t think you really need a high-end phone, but still want a phone that’s capable yet suitably different to others, then the Xiaomi Mi A2 is worth investigating further. We’ll bring you a full review soon.